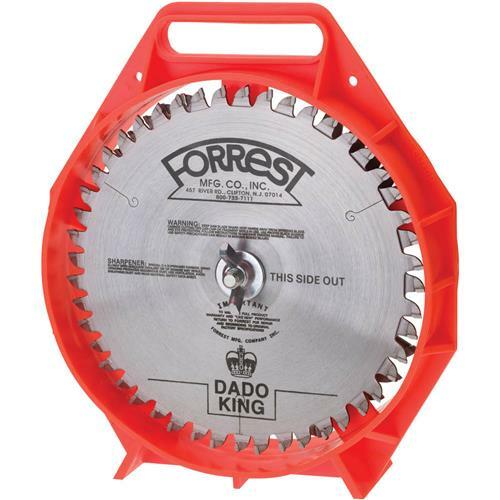 Forrest Manufacturing Co. makes the only dado set with negative hook on all its teeth, including chippers. 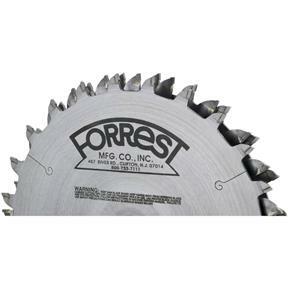 This effectively makes the teeth cut up into the wood, even when used on a table saw. No Splintering: cross-cutting oak, ply veneers and melamine. Perfect Flat-bottom grooves: not staggered steps or round bottoms like a wobble-dado leaves! Cuts in all directions: rip, cross-cut, miter, any depth. Cuts all sized grooves: 1/4" through 29/32" increments. (Set of plastic adjusting shims also included). 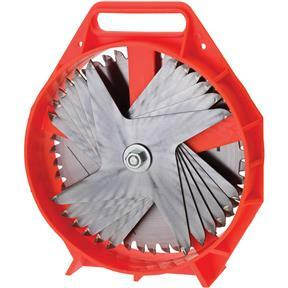 Super-hard carbide: gives up to 300% longer life, especially good on plywoods and abrasive particle-boards.